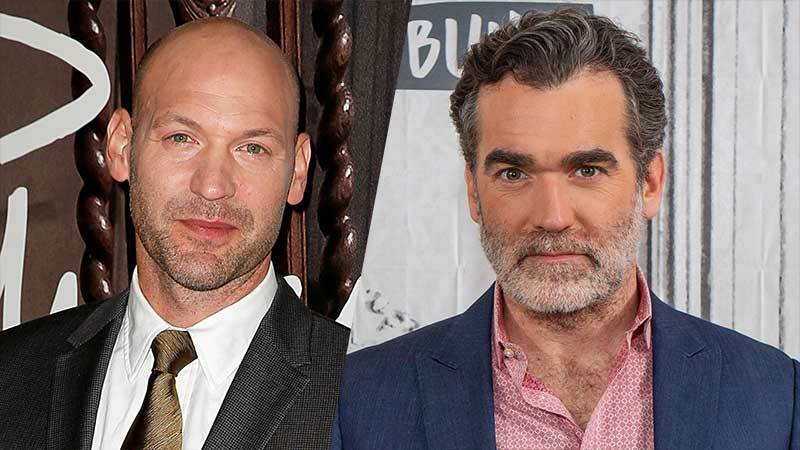 The Hollywood Reporter brings word that Golden Globe nominee Corey Stoll (House of Cards, The Strain, First Man) and Tony nominee Brian d’Arcy James (The Kitchen, The Ferryman, X-Men: Dark Phoenix) have joined Steven Spielberg’s West Side Story adaptation. Stoll, who will be starring in The Sopranos prequel movie The Many Saints of Newark, will play Lieutenant Schrank, the New York City detective charged will quelling civic unrest in his racially-torn precinct. D’Arcy James, who has starred in 13 Reasons Why, Spotlight, and numerous Broadway roles, will play Sergeant Krupke, a veteran cop whose beat includes the territories of two warring street gangs, the Sharks and the Jets. Stoll and d’Arcy James join leads Ansel Elgort and newcomer Rachel Zegler. The cast also includes Rita Moreno, who originally played Anita in 1961’s West Side Story, and a quartet of Latinx actors who will be playing key members of the Sharks, with three other members being portrayed by Broadway stars: Tony winner David Alvarez will play Maria’s brother Bernardo, Tony nominee Ariana DeBose will play Anita, and Josh Andres Rivera will play Chino. West Side Story is also largely based on William Shakespeare’s Romeo and Juliet, and it features a star-crossed romance between Tony and a girl named Maria. While Tony is closely tied to the Jets, Maria’s brother, Bernardo, is the leader of the Sharks. When the story begins, the tensions between the rival Jets and Sharks gangs led each side to the brink of war. Tony and Maria’s courtship helped push that conflict over the edge. Oscar-nominated screenwriter and Pulitzer Prize-winning playwright Tony Kushner (Lincoln) wrote the new script for the West Side Story remake, an adaptation of the 1957 Broadway musical, which was written by Arthur Laurents and Stephen Sondheim. Leonard Bernstein created the music for the show, which went on to earn six Tony nominations. The feature film adaptation was helmed by Robert Wise and Jerome Robbins on its way to 10 Academy Awards. Spielberg, Kevin McCollum, and Kristie Macosko Krieger will produce the film musical, which will be released by Twentieth Century Fox. Moreno will also executive produce. The feature is expected to begin filming this summer. The post Corey Stoll & Brian d’Arcy James Join West Side Story Movie appeared first on ComingSoon.net.